Out of Stock. May be backordered. Expected in Stock 08/08/2019. 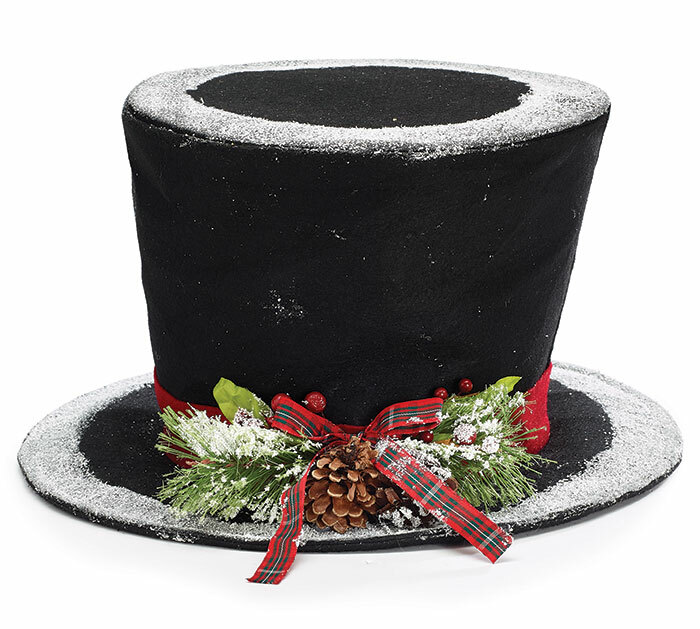 Black felt hat tree topper accented with red ribbon band, sprigs of holly and pine cones and dusted with snow. There is an inner wire spring for support. 8" H x 15 1/2" W x 15 1/2" D.
Love this item! Everyone who sees it in my shop loves it. Great items.